With his crazy mismatched eyes, this Husky looks a little threatening, like he’s about to pounce and make a tasty dinner of you. Instead, he was just hanging out on the roof of a building in San Andres Xecul, in the highlands of Guatemala, very curious, watching us gringos go by. For more on my bike trip there, see my previous post, Poco a Poco. 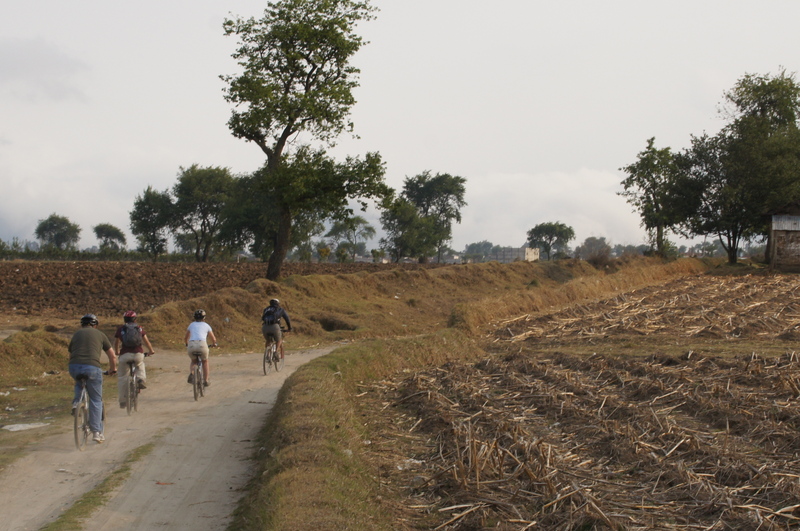 Biking through the farmland near Xela. that altitude, I’m wary of doing anything that requires more exertion than sampling some of the country’s great coffee in a café or watching others exert themselves in a game of fútbol. 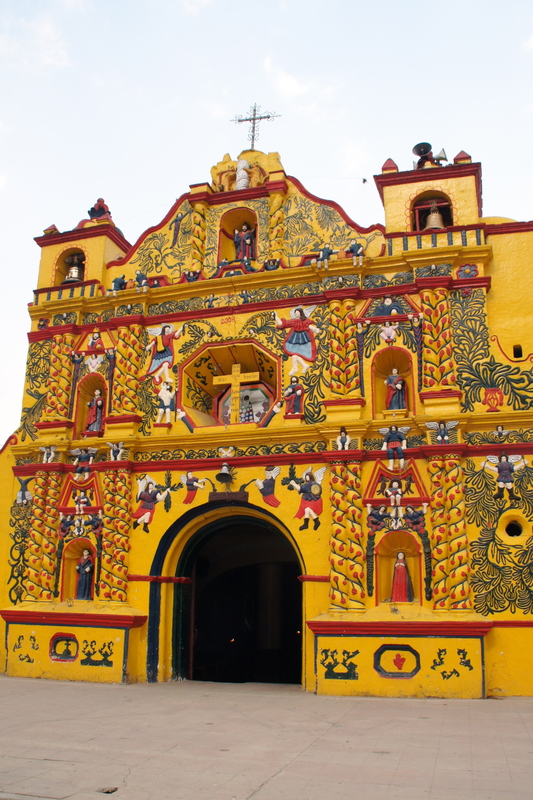 Still, the possibility of a trip to a rural village that boasts the most colorful church in all of Central America prompted me to get trade my café chair for a bike to ride to San Andrés Xecul. Fortunately, there were only a few steep patches, and the friendly people in the village (one little boy kept pointing at us and saying “Gringos, Mama!”), a nice sugary Roja from a local tienda, and the Technicolor church made it worth the occasional gasp for oxygen. Our guide from Altiplano Tours was merciful: “Poco a poco. It’s not a race.” Poco a poco, little by little, became the mantra of our trip and as I think about it, that’s a pretty useful phrase for most of life.